The idea for this neat little tool came from Dave Whitlock. It's one of the handiest tools on my tying bench. Many fly tiers pick out dubbing with a bodkin to give a a fly a buggier look. But only a few tiers have found that a so called "Dubbing Brush" generally works much better. The first time I saw a "Dubbing Brush," it was used by Dave Whitlock. The following day I made one and I have been using it ever since. The Whitlock Dubbing Brush is very simple to make. All you need is a wooden dowel for the handle and a piece of velcro for the brush. Use super glue to affix the velcro to the dowel, some heavy thread to decorate the handle, and you're in business. 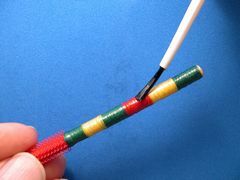 I have read fly tying articles by others who have their own version of a "Dubbing Brush." I remember that one writer, who was also a marksman, suggested using a brass wire 22 caliber bore brush. Another, who had a dentist friend, suggested using a "Dental Roach." 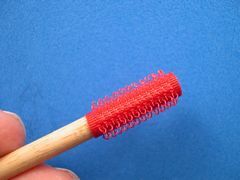 Rich Osthoff, creator of the Soft Hackle Wooly Worm and author of "No Hatch To Match," uses a gun cleaning brush that's not a bore brush but a brush that's designed for cleaning gun parts. He tells how to acquire one in his book. He also suggests that a tooth brush, with the bristles cropped, can be a useful "dubbing brush." I have tried them all, but they are quickly put aside in favor of the first Dubbing Brush I ever used. Here is how I build the "Whitlock Dubbing Brush." 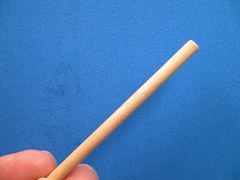 Cut a three-inch piece of 3/16th inch dowel. 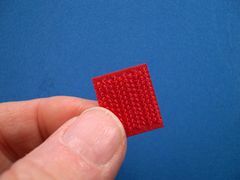 Select a piece of Velcro, the piece with hooks, and cut it to size. It will fit the dowel perfectly if the piece you cut is exactly 5/8th inch wide. 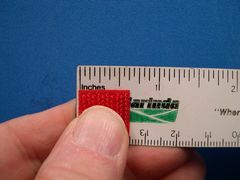 Velcro comes in strips that vary in size from one-half to one-inch in width. The piece in this photo came from a strip that is three-quarters inch wide. So, the piece that will be attached to the dowel is 3/4 inch by 5/8 inch. Cover the back of the velcro with Zap-A-Gap or other super glue and afix it to the dowel as shown in the photo. At this point, your Dubbing Brush is ready to use. But, I think that such a useful tool should have some decoration, so I cover the handle with bands of different colored threads. I use rod winding thread, but any heavy thread will work. 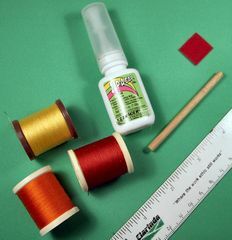 You can easily attach the thread as shown in the photo. When you change to a different color, simply put a little Zap-A-Gap on the existing thread and take a couple more turns. The glue dries immediately and you're ready to add the next band. 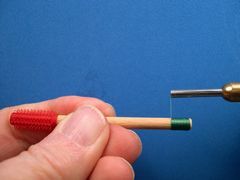 After you have completed the bands of thread, varnish the handle with a couple of coats of "Hard As Nails" nail polish. 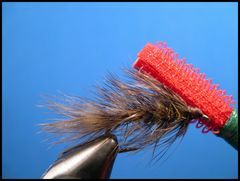 Here the Dubbing Brush is being used on the Holschlag Hackle Fly. 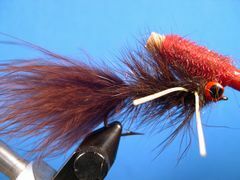 I use it on any fly that has a dubbed body from a tiny Red Fox Squirrel Nymph or a large Soft-Hackle Wooly Bugger. And, once you have used one, you will too!